Today we’ve learned that Yahoo is shutting down Delicious, a fairly popular online service that let you organize your bookmarks, so if you want to get your bookmarks out and migrate to another service, here’s how to do it. You can use the export tool to easily get a copy of your bookmarks, and then use that file to import into any number of places, including your regular browser bookmarks. We’ve done some research and found Diigo, a very similar tool to Delicious, which you can use instead. While Delicious shutting down is bad news, the good news is that it’s mercifully easy to export all of your data into a format that can imported into many different services. To export your data, log into Delicious, and click on the Settings link at the top-right. On the Settings page, click on the link to Export / Backup Bookmarks. Check whether you wish to include tags and notes, and optionally provide additional tags to add to your exported bookmarks. It may be useful to add a “Delicious” tag, if you want to remember where these bookmarks came from. Click Export when you’re done. 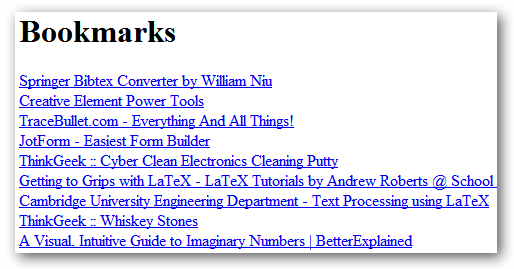 Your bookmarks will be exported as an HTML file that can be read in any web browser. Additionally, your tags and other metadata are available in the same HTML file as additional properties on those links. 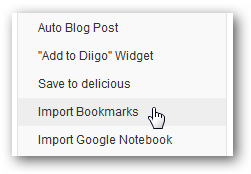 While there are several other online bookmark management options, we think that Diigo offers a feature set closest to Delicious. 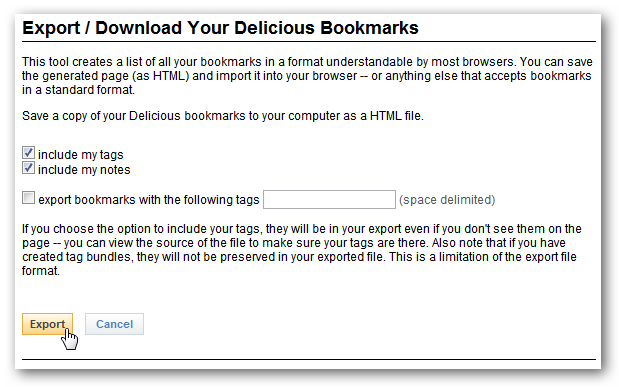 You can easily import your Delicious bookmarks into Diigo. Naturally, you’ll need to head to their site and sign up for an account in order to use it. Once logged into Diigo, click on Tools at the top-right of the page. Select the Import Bookmarks link. 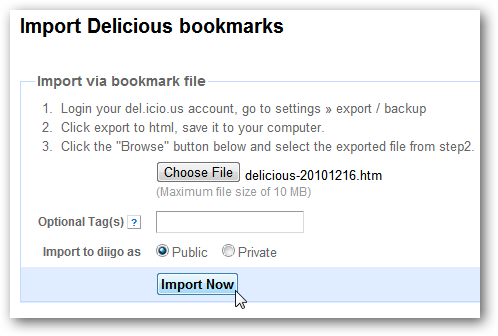 Diigo recognizes the additional information in the HTML file exported by Delicious. Click on the Delicious link in the import page. Upload the file that you exported from Delicious earlier, and click Import Now. Your bookmarks will be added to your Diigo library, tags and all! That’s all there is to it. Really simple!